Home » News » Security Articles » Secret Shopper Scam Warning! Secret Shopper is a long-standing form of customer experience research. Although the industry is comprised of many legitimate companies, consumers need to be cautious of fraudulent practices to avoid becoming a victim of a Secret Shopper scam. You get a check in the mail, you deposit that check in your account and you can see the funds in your account. Now you’re off to the store to purchase gift cards OR to test the in-store money transfer service (like Western Union or MoneyGram) by sending some of the money you deposited. Or, if you were told to use the money to buy re-loadable cards or gift cards, such as iTunes cards, you’re instructed to send pictures of the cards or to give the numbers on the cards. Unfortunately, sometime in the near future, your bank notifies you that the check you deposited in your account was fake. By the time you try to get the money back from the money transfer service, the scammers, and the money on the cards are long gone. 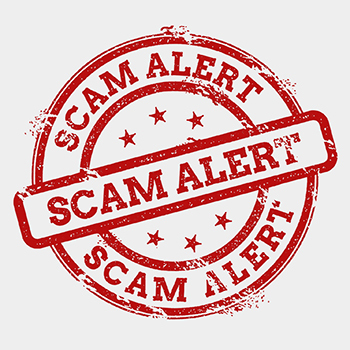 Do not deposit unexpected paper checks into your personal account and then wire funds or purchase and mail gift cards, as this is almost certainly a Secret Shopper scam. Be cautious of any jobs with outlandish rewards or cash payments. If it seems too good to be true, it probably is. Do not trust unsolicited emails if you did not already directly sign up with a legitimate company. Avoid all ‘companies’ that claim to pay in advance of shop completions. Take the time to research any company that you might wish to work with, or any company you receive an appealing offer from, and always contact them directly through a Google search or the MSPA industry trade association. Scammers will often spoof popular secret shopping company names. Always avoid and ignore unsolicited emails and text messages, especially if they are coming from Gmail, AOL, Yahoo, MSN, etc. rather than a real company email account.